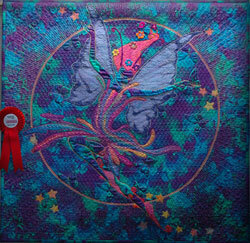 Each even year the AMQA holds in conjunction with the Australian Machine Quilting Festival (AMQF) a show of quilts. This show is open to all machine quilters Australia and Worldwide. In alternate years the AMQA holds a Member Challege. Preparations for this and the interim years events are published on the Calender of Upcoming Events. The AMQA also has a mentor programme which brings quilters and their businesses together in a supportive structure. The AMQA Inc aims to provide the following services to these major stakeholders.